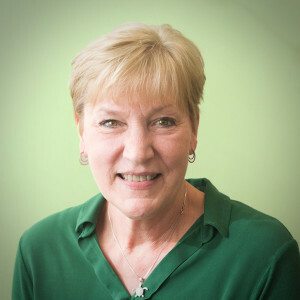 Ruth has worked in the early childhood education, infant through Pre-K, for 30 years. Working in both the private and public sectors of the field, she has moved from positions in the classroom through curriculum specialist, landing in administration as an Education Services Manager for a Community Action agency. Becoming excited about CLASS as an administrator and staff developer, Ruth started her relationship with Teachstone as a guest blogger through the Teachstone Ambassador initiative. Joining the team as a CLASS Staff Trainer, Ruth feels she can capitalize on sharing her passion and solid belief in the importance of staff development and assisting teachers in understanding the importance of making the most of every interaction with their students. Relocating with her husband and dog to the beautiful mountains of Virginia, has brought Ruth closer to her love of nature and history. Serving meals to preschool children can be challenging. The daily schedule can easily get away from you through unexpected interruptions, spending more time than planned on an exciting activity, sick children, or some of the many accidents that occur in busy classrooms. As a result, mealtimes often get pushed to the side as just one of the daily routines necessary to get through the day. At some of my recent trainings I’ve been feeling a lot like Max in the story “Where The Wild Things Are.” Before I even had the equipment set up, I heard the gnashing of teeth and the terrible roar of the participants as they helped themselves to a sweet breakfast buffet and found their seats. What Does Regard for Student Perspectives Look Like in a Teacher-Directed Activity? It's not uncommon for teachers in early education to need to strike a balance between following children's leads and sticking to the classroom schedule. Intentional teachers are aware of their responsibility to assess student progress, understand skill mastery, and plan accordingly to provide opportunities for children to grow. However, many times, as teachers begin a specific teacher-directed activity, it is unsettling when students begin to veer from the step-by-step plans the teacher has worked hard to implement. Just as Alice is about to fall through the looking glass into an unknown world, a new cohort of teachers are about to walk across their academic stage into the unknown world of their own classroom. Is it too late to evaluate their readiness to transform their enthusiasm for education practice and principles to the day-to-day challenges presented by a diverse group of young learners? Or, is it more appropriate to ask, what is needed to move these successful students from the safety and familiar halls of higher education to the unfamiliar classroom in the ever-changing arena of education?